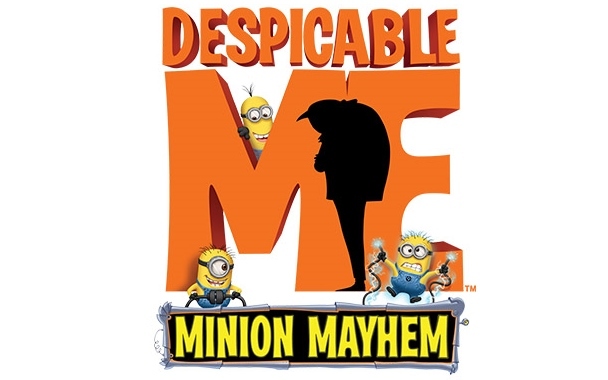 Despicable Me: Minion Mayhem coming to Universal Studios Hollywood in 2014! This highly anticipated simulator experience, already located at Universal Studios Florida, will make its way to the park next year in 2014. Based on the popular Despicable Me franchise (With a sequel on the way this summer) guests will be put smack into Gru and the Minion's environment. The entrance facade will be themed to Gru's house, with a non-stop Minion dance party in the post show. Inside will be an Ultra HD 3D Simulator Experience taking you on a wild adventure with all the characters right from the movie! The one thing Universal didn't announce is the location of the attraction, but using common sense and the park's history, you can make a pretty solid guess. The T2 3-D: Battle Across Time attraction on the Upper Lot of the park was recently closed on December 31st of last year, and many believe this theater will be re-themed for the ride. Despicable Me seems to be the only logical reason for T2's closing. That's all the news for now from TPO. What do you think? Let us know by commenting on the Official Theme Park Overload Facebook page! www.Facebook.com/ThemeParkOverload My name's Nicholous, and Thanks for Reading! P.S. TPO will be at Universal Studios Hollywood over Spring Break next month to bring YOU the latest updates from all around the park!